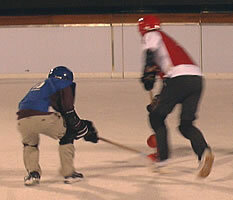 This page provides information for people in the UK who are interested in winter sports such as skiing, snowboarding, ice skating and ice hockey. 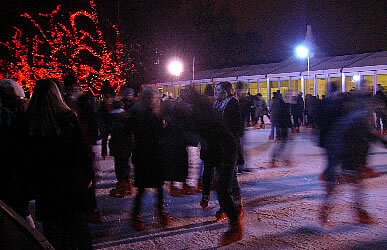 Below are some of the places in the London area with outdoor ice rinks. 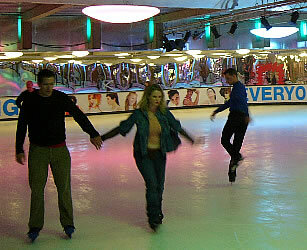 The most popular month for skating is in December, but some of the rinks are also open during November and January. It is better to book in advance (click on the links to do this). 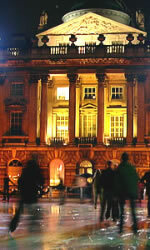 The most popular times are during the evenings and weekends. Remember to dress warmly (wear thick socks and gloves). 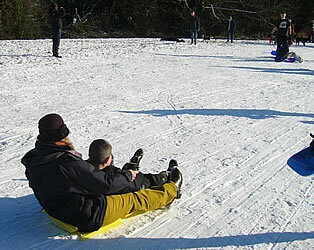 Check local websites for details of other temporary ice rinks. 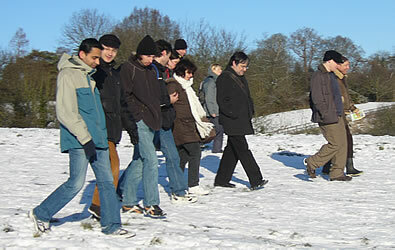 There are some ski slopes in Scotland (for example, at Aviemore) and some dry ski slopes in large cities in the UK. However, most people who want to ski go to to the popular ski resorts in Europe, especially in the Alps (Switzerland, France, Italy, Germany, Austria).